Tyre manufacturer MRF (originally Madras Rubber Factory), which enjoys instant brand recall thanks to the presence of its logo on cricket superstar Virat Kohli’s bat, figures among the most prominent industries in Tamil Nadu. But the state does not figure in its future plans. Like another TN industry mascot, truck major Ashok Leyland, it has decided to invest in Gujarat for expansion. Gurgaon-headquartered Apollo Tyres has a manufacturing unit in Sriperumbudur but its next investment will be in Andhra Pradesh. Saint-Gobain, a French firm that is a leader in glass manufacturing, has made big investments in TN, but it wants to expand – in Rajasthan. Ford India, the local arm of the American carmaker, started from Chennai, investing Rs 4,500 crore and giving jobs to over 5,000 people. But for its second unit it preferred the emerging auto hub of Sanand in Gujarat. The last straw that broke the silence was Kia Motors. TN had set its eyes on this firm from the South Korean giant Hyundai Motor group, which has a plant in Sriperumbudur. But in April, Kia Motors announced it will invest $1.1 billion for a new factory in Anantapur district of AP instead. An industrialist from Chennai alleged that Kia chose AP because some TN politicians had demanded bribe for various clearances. Shilpa Prabhakar Satish, executive vice chairperson of Tamil Nadu Industrial Guidance and Export Promotion Bureau, says the state did approach Kia but the firm said that since Hyundai already has a presence in Tamil Nadu, the group would prefer exploring other options. And the story is not limited to the few marquee brands. The industry’s honeymoon with the southern star state is over. Be it small and medium enterprises or traditional sectors like textiles, they all are looking elsewhere for expansion, if not making an exodus lock, stock and barrel. Newcomers are wary. A source associated with a premier industry body narrates the case of a Belgium-based small-scale firm which wanted to invest some Rs 3-4 crore. When it approached TN’s Guidance and Export Promotion Bureau around six months back, it was told that the figure was too small for the bureau, which handles only big investments. The firm approached SriCity in AP, and it got the go-ahead within one week. TN used to be one of the hotspots on the country’s industrial map. Chennai attracted billions of dollars in overseas investment, often beating Maharashtra, Gujarat and Delhi. Not anymore. The flow of foreign direct investment (FDI) coming into the state has turned into a trickle, plunging from Rs 29,781 crore in 2015-16 to Rs 7,422 crore, going by the RBI data. Another fall is on the ease-of-business index, where the state has slipped to the 18th rank from 12th last year, according to the rating carried out by the centre’s department of industrial policy and promotion (DIPP) along with the World Bank. Something is not right with the industry scene in the southern state. Factory owners are scrambling to pack their bags and move to other states, including neighbouring Andhra Pradesh (though there is no official estimate of their number). The Tamil Nadu government admits that it is unable to stop them. The automobile industry in and around Chennai and Thiruvallur are moving out, as these two cities are close to the border with Andhra Pradesh, Mohan says, where better facilities are available and land is cheap. So, instead of going to Tuticorin, an industrial city down south in Tamil Nadu, why shouldn’t an investor prefer to set shop at a place which is hardly 50 km from Chennai or Thiruvallur, he adds. Moreover, there are fewer hassles across the border. Under a new ‘single-desk’ policy, AP has made getting the plethora of licences easier; an investor can get all the relevant permissions in one place – and that too within 21 working days. Purchasing land too has become easy in states like Andhra Pradesh and Telangana, and they offer a lot of subsidies, says Mohan. In TN, on the other hand, firstly land costs a lot, and secondly, the investor often has to wait up to two years to actually start the business, as the clearances – plant sanction, electricity connection and the pollution control board clearance – take enormous time. “There is a lot of corruption, especially at the lower levels, because of which it takes almost two years to get clearances,” Mohan says. Several industrialists from the state’s knitwear hub of Tirupur are weighing their options. They are looking out to states like Andhra Pradesh, Telangana, Odisha, Karnataka, Gujarat and Madhya Pradesh. Raja M Shanmugam, president of Tirupur Exporters’ Association, says, “Our sector has grown and has potential to create jobs, which the other states have realised.” Some states have approached Tirupur industrialists. These states are wooing investors from Tirupur with an attractive textile policy. They are providing subsidy for infrastructure development. For example, if you want to set up a factory with 200 to 300 machines in Tirupur, you will have to shell out at least Rs 10 crore for the plant and machinery and related facilities. But if you consider Odisha, you can launch business of the same scale by spending not more than Rs 3 crore. Moreover, Odisha offers labour support schemes, with the government picking up the tab for part of the employee cost provided the plant gives jobs to at least 200 labourers. Ironically, Tamil Nadu, which boasts of having the textile hub of the country, does not have any textile policy, says Shanmugam, whereas states like Andhra Pradesh have textile and apparel policies. Textile is a labour intensive industry, attracting migrant labourers to Tirupur. But, for them, the cost of living in this town – the rent, expenses on water and electricity and so on – matter a lot, and if they get a better deal elsewhere, they move on. Shanmugam and other industrialists have urged the state government to provide infrastructure that supports labourers. “We are working to grow the industry in this region, but if other states offer attractive policies the investors tend to cross the border,” he says. In the past one year at least four factories have expanded their facilities to Kuppam in Chittoor district of AP. Shanmugam is concerned that the trend of industries moving to other states might gain momentum. Way back in 2007, AP had tried attracting Tirupur industrialists to Karimnagar district (now in Telangana), but they were reluctant to leave TN. That is no longer the case. Yet, TN is no hurry to retain the textile business, which fetches it prime revenue and offers jobs to about six lakh people. Tirupur’s domestic business is around Rs 16,000 crore a year and exports have crossed Rs 26,000 crore. Leather is another industry where poaching efforts are on, points out a senior state official. “We had interactions with people associated with the leather export industry. They say a lot of documentation is needed to get clearance from the pollution control board in Tamil Nadu and sometimes it is very costly. Whereas in Andhra Pradesh, the pollution control body is not so rigorous,” says the official. Many industrialists say that their existing infrastructure in TN will remain, but any expansion of the facilities will be out of the state, and most likely the preferred location would be AP. Grundfos Pumps India, whose parent company is based in Denmark, has an establishment in Chennai and has expanded the facility in Gujarat. “We did not want to put all the eggs in the same basket,” explains managing director NK Ranganath. When traditional industries, for example, manufacturing units, start moving out, it is a worrying factor and the trend has already started in Tamil Nadu, Ranganath says with concern. AP and Telangana, the youngest state trying extra to make its mark, obviously see an opportunity here, and are vying with each other to woo industries. Many companies are flocking to Sri City, a manufacturing hub in AP, located 55 km from Chennai on the TN-AP border. When the mobile phone manufacturer Nokia, for business reasons, had to close down its plant in Sriperumbudur in November 2014, Foxconn, the world’s largest electronics contract manufacturer that depended on Nokia, too downed shutters of its unit at Sriperumbudur. But when it decided to restart its operations in 2015, it chose Sri City over Chennai. The industries are opting for Sri City not just because of tax holiday package or the latest facilities and ecosystem it offers, there are a host of other reasons. Going by a survey conducted by the National Council of Applied Economic Research (NCAER), TN had been a preferred location because of the factors like political stability and governance, labour, land and perception of good business climate. Is the state losing on these fronts now? Erratic power supply, delays in clearances, lack of aggressive marketing to promote the state to attract investors, and political uncertainty: that’s the list of the reasons why TN has been losing, according to an industrialist from the Ambattur industrial estate, located in Chennai’s neighbourhood of Ambattur. A visit to the Gummidipoondi industrial estate in Thiruvallur district, 55 km from Chennai, shows on ground how the TN success story is faltering. A labourer called Ranjit, who has come from Punjab, is standing quietly near an earthmover machine parked outside the gate of the industrial unit. He doesn’t have much work to do as the unit is facing low production. Not far from it is Kanishk Steel Limited. Most of the contract labourers in this unit are from Bihar and Jharkhand. Rajesh, a contractual labourer from Bihar is sitting with his co-workers Sunil and Babu, a little far from the furnace. Till now Rajesh was putting coal in the furnace. He has taken a small break and Mithlesh is doing the work in his place. This industrial estate is not bustling with much activity. Some units in the estate have closed down, while some have moved out. The very look of the estate says it is uncared for. Roads badly need repair, many factory sheds are shabby, the estate lacks good infrastructure. “Had the state government provided enough support for the Gummidipoondi industrial estate we would have attracted more industries and retained some of them. In the last three to four years, a number of industries have closed,” says GM Krishnamurthy, managing director of Sardev Friction Products, a unit located in this estate. At Krishnamurthy’s unit, a score of labourers have completed their work by 3 pm and are leaving for the day. This industrial estate came up in 1983. It is spread on 1,440 acres and is home to around 225 units, out of which 165 are active – the rest have either moved out or are sick. Most units are small and medium enterprises and only a few are large enterprises. The estate is suffering from problems such as labour shortage, power and water crises, raw material shortage and low marketing. The estate is well-connected with the nearby railway station and even Chennai suburban trains connect Gummidipoondi. It has two ports close by. It is well-connected by road as well, so commutes for labourers should not be a problem, argue those associated with the estate. Moreover, there are many villages around the estate. But the problem is the villagers are not willing to work as labourers. And the reason is, the state’s welfare history and the ‘freebie culture’ – the TN trend of politicians showering the voters with cash, saris, luxury goods and so on at every election – has “pampered” them and made them lazy. The industries therefore have to depend on the labourers from other states. 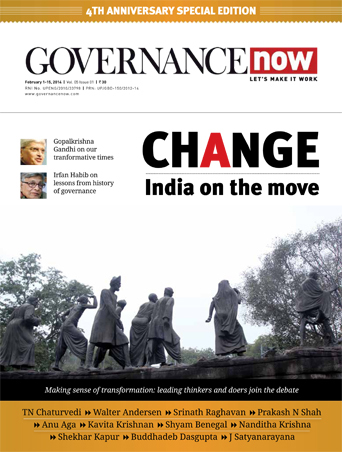 “Now even the industries prefer migrant labourers as locals have less commitment to work and they do not want to work for hours that the industries expect them to,” says Krishnamurthy. 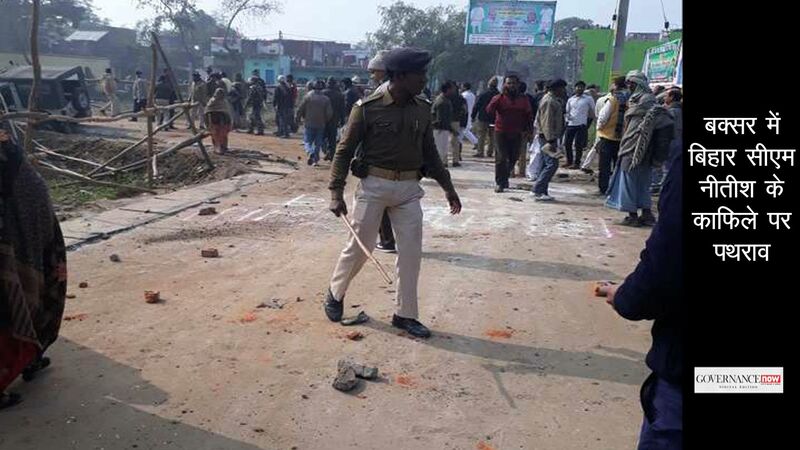 As the industrial estate is getting most of the labourers from states like Bihar and Odisha, industrialists worry what would happen if these people return to their places someday. In other words, the labour availability is uncertain. 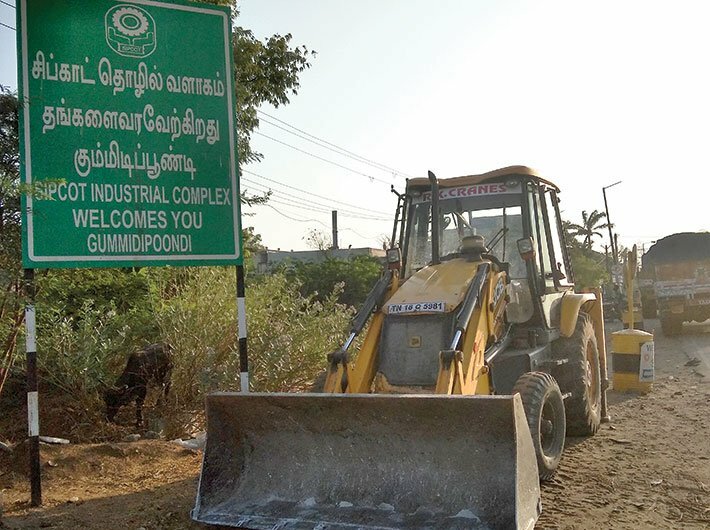 Ravi Kumar, vice president, HR, Kamatchi Industries, says Gummidipoondi is a neglected industrial estate. The state has not provided infrastructure support, and even the State Industries Promotion Corporation of Tamil Nadu (SIPCOT) is not helpful. “Land is available in the estate, but no one wants to do business because of the non-cooperative attitude of the government,” says Kumar. As Srikanth’s unit is located in the industrial estate, he expects the government to do at least its basic job of infrastructure development, or maintenance. “Most of us would be happy if the government spends our taxes on us rather than on freebies. My company had borne 50 percent of the money to build a road in front of my unit,” he says. If at all an investor wants to invest in Tamil Nadu he is reluctant to go to any city other than Chennai or at most Coimbatore. The two are preferred thanks to factors like availability of water, quality of power, or raw material, compared to infrastructure in other parts of the state. Also, ports and the airport are closer by. The state promotes other cities as well, with special incentives and additional capital subsidy, to diversify the growth; but the industry is not keen. From availability of skilled manpower to basic raw material, everything remains a challenge in other cities. Shilpa Prabhakar Satish, of the Industrial Guidance and Export Promotion Bureau, says the state is implementing the reform points suggested by the DIPP on the ease-of-doing-business front. The state is bringing out a single-window policy, and is on the verge of offering online single-window approvals. Also, she says frankly, “AP is very keen on attracting industries and TN is not competing with AP, as it certainly needs investment after bifurcation.” She maintains that all the investments in TN are intact and fresh ones are coming in. Last year we went down in the DIPP ranking. One of the reasons is, quite a few of our departments which are involved in giving regulatory clearances are not online. They were still working with the old system, which was not considered positive in the DIPP survey. Consultants have now been appointed and MSME, guidance bureau, Tamil Nadu Industrial Development Corporation are now working [towards setting up an online system]. As far as MSME is concerned we have thoroughly revamped the ease-of-doing-business scenario by doing a few things. First is to have online presence of departments like health, factories, pollution control board, commercial tax, town and country planning and Chennai metropolitan development authority. Right from the filing of the application till the issuing of the certificate, everything should be online. By September all the input departments involved in granting clearances will be online. Secondly, [we propose to] increase the validity period of licences so that the applicant doesn’t have to come again and again for periodical renewal of licence. Third is to reduce the time limit of giving clearance, say from 60 days to 30 days, from the date of application. In some cases, the government is thinking of giving deemed clearance. For example, if even after 15 days we are unable to give clearance due to some flaw in particulars or details, it would be deemed to have been approved. Later on inspection can be done and if some corrective measures are to be taken it can be done in a certain frame of time. We have sent all these proposals to the government and the go-ahead is awaited now. Further, Tamil Nadu needs to strengthen social infrastructure. For example, metro rail services should be extended up to Sriperumbudur as employees working in companies located there commute by bus. I strongly favour tapping NRI Tamilians, who are quite a potent force in countries like the US, the UK and Malaysia. We could get a lot of investments from them. However, it should be clarified that the manufacturing sector in the state has not gone down. It may be the case that no big companies have made fresh investments in the last four-five years, but a lot of medium-size units have come up. Under the Global Investors Meet (GIM) of 2015 alone, we have added 50,000 jobs in the MSME sector in just one year, and hope to add another 1 lakh jobs by the end of this year. In addition, four lakh new MSME units have registered in the last one year. During the GIM, 10,073 MoUs worth Rs 16,000 crore in investment were signed with MSMEs and work has started so far on 4,600-odd MoUs worth Rs 5,000 crore.